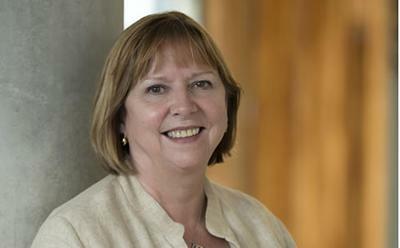 Professor Dame Wendy Hall from the University of Southampton has been named as one of the ‘Top 50 Women in Engineering’. The inaugural list, announced today on National Women in Engineering Day (23 June), was produced by The Daily Telegraph in collaboration with the Women’s Engineering Society (WES). The winners were announced at a special event in London this morning. Dame Wendy, who is one of the world’s leading computer scientists, was recognised for her significant contributions to the sector and using her influence to inspire others to study and pursue a career in engineering. Dame Wendy has held many leadership roles in addition to her academic research in computer science, in the development of the World Wide Web and, more recently, in establishing and developing the new discipline of Web Science. With Sir Tim Berners-Lee and Sir Nigel Shadbolt, Dame Wendy co-founded the Web Science Research Initiative in 2006. She is currently the Managing Director of the Web Science Trust, which has a global mission to support the development of research, education and thought leadership in Web Science. Dame Wendy is also Executive Director of the University’s Web Science Institute, which brings together world-leading multidisciplinary expertise to tackle the most pressing global challenges facing society today in the post-Web era. She was President of the British Computer Society; the first non-North American to lead the Association of Computing Machinery, the world's largest organisation for computer professionals; a member of the Prime Ministers Council for Science and Technology; Senior Vice-President of the Royal Academy of Engineering; and a member of the Scientific Council of the European Research Council. Dame Wendy became a Dame Commander of the British Empire in the 2009 UK New Year’s Honours list and was elected a Fellow of the Royal Society in June 2009. 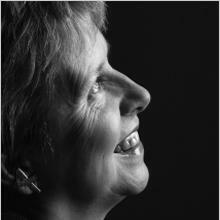 Professor Dame Wendy Hall is part of the Institute for Life Sciences at the University of Southampton.